Another Language's world premier, telematic cinema performance XYZ can be experienced in several ways. 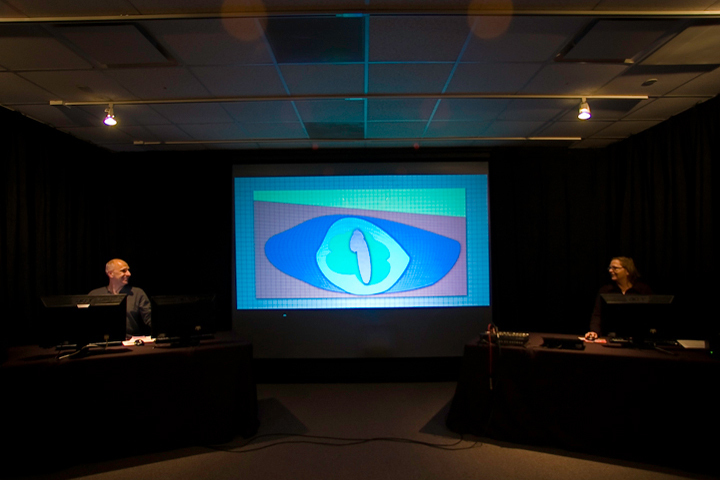 You can see the live performances and be part of the studio audiences at the University of Utah INSCC VisLab Black Box Theater. The performance can also be viewed from our website with the QuickTime and Flash Players, although you will not experience the 3D stereographic aspect of the video. Salt Lake City, UT - The performance will take place at the University of Utah's Intermountain Network and Scientific Computation Center (INSCC) VisLab Black Box Theater located at 155 South 1452 East RM 294. Performances are February 22 - 24 and March 1 - 3. Friday and Saturday performances are at 7:00 PM MDT and Sundays at 4:00 PM MDT. Tickets are available at the on-line Box Office and at the door, $7.00 - General, $5.00 - Seniors/Members and Free - Students with ID. Click here for a map and directions. Live QuickTime Webcast - A live QuickTime stream of XYZ will be available on this web site on the days of the performace. Click here to test your connection by viewing a short audio/video clip. You will need QuickTime Player 7 or higher. Click here to download the latest version. 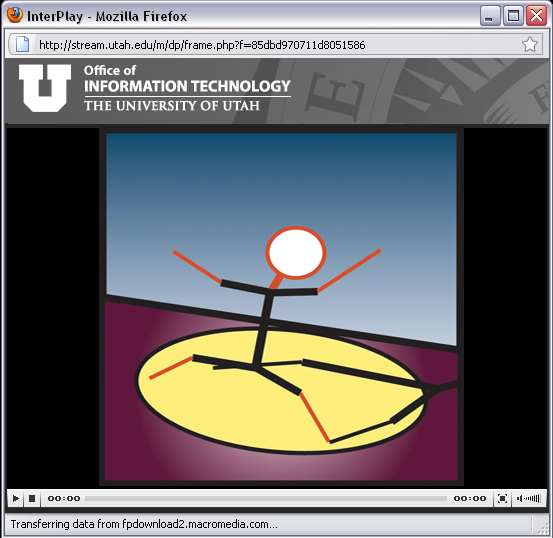 Live Flash Webcast - The performances will be available at The University of Utah's University Information Technology media server. Using the Mountain Daylight Times listed under the Salt Lake City venue all performance times are -7 Greenwich Mean Time (GMT).